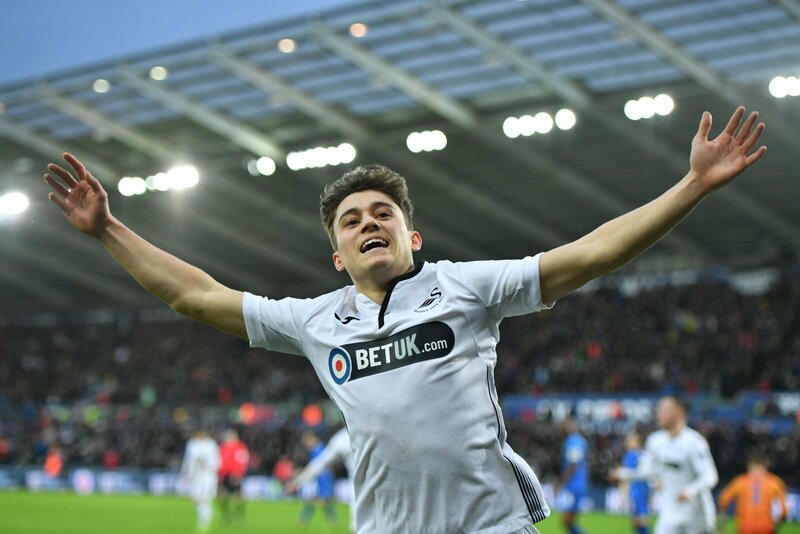 Swansea City winger Daniel James has revealed that a decision regarding his future in South Wales will come out “soon”, as per reports from Birmingham Live. The winger has been a standout performer for the Swans this season, having shone for both club and country in recent times. The Wales international, who recently netted the winner in their 1-0 win over Slovakia, has scored five goals and produced six assists for Swansea this season. The electric wide-man has been attracting interest from a host of high-profile clubs, with Premier League champions Manchester City said to be lining up a £7million bid for the talented winger. Leeds United were desperately close to securing his services on deadline day in January, and are believed to be interested in reigniting interest in the summer after their deal fell through in the final minute of the window. It was a magnificent weekend for Leeds United – Marcelo Bielsa’s men created a three-point gap between themselves and Sheffield United, following a 1-0 win over Sheffield Wednesday on Saturday. They face Wigan Athletic at home then travel to Brentford in the space of four days, over a hectic Easter period. This is a really interesting development, and it looks like this transfer saga may well be coming to an end very soon. To me, it sounds like James is staying at Swansea – his comments don’t really sound like a player who is leaving anytime soon in my view. It would be a massive coup for Leeds if they were to land James in the summer, given the calibre of teams that have declared an interest in the player over the last couple of months.